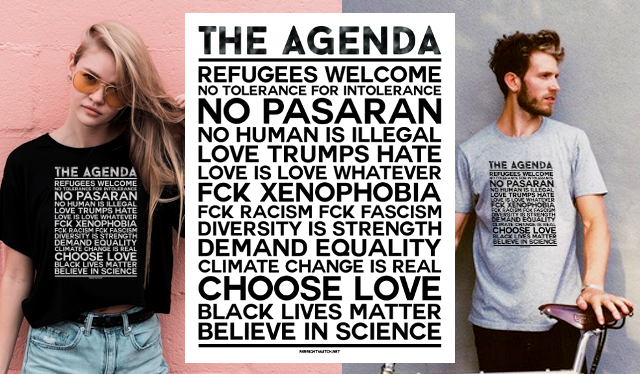 From 'Stand Up To Racism' - And we concur with every word. The release of Tommy Robinson from prison has further boosted their confidence. Senior Tories like Boris Johnson launching attacks on Muslim women will only increase Islamophobia and further encourage these forces. And the attack by Far Right activists on Bookmarks Socialist Bookshop is a sinister and threatening development. 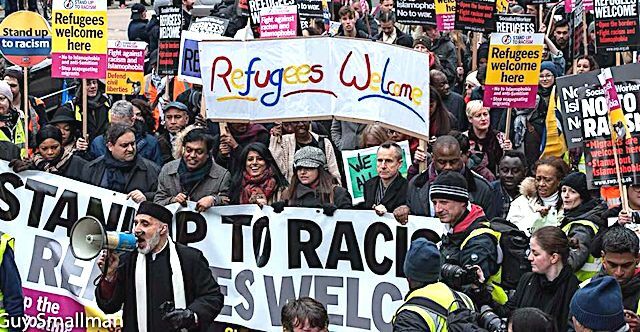 Stand Up To Racism was launched following the 50,000 strong refugee solidarity demonstration in 2015. Over 1,600 people attended its founding conference in 2016 which was addressed by Jeremy Corbyn. Diane Abbott is the president of Stand Up To Racism and it has the support of a large range of trade unions, including Unison, Unite, NEU, PCS, CWU, Aslef, UCU, FBU, BFAWU and others. 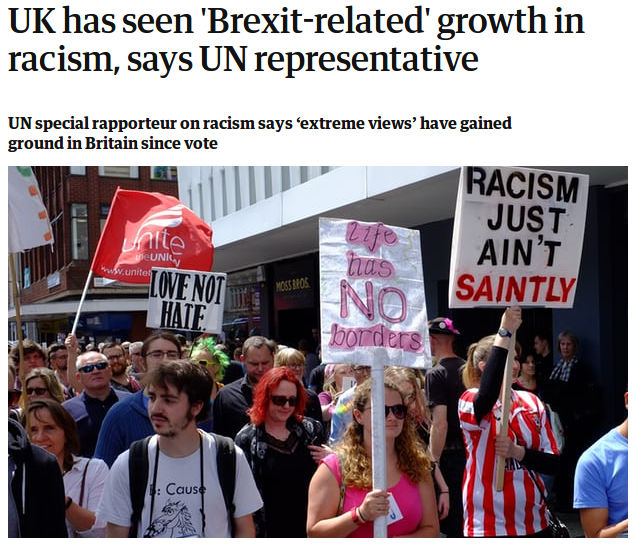 Stand Up To Racism has for some time been calling for the broadest unity to challenge the far right wherever they mobilise or raise their heads. The founding members of the Anti Nazi League and Rock Against Racism are all integral to Stand Up To Racism currently. We therefore welcome the call by John McDonnell, Labour’s shadow chancellor, for a mass movement in the spirit of the ANL. We have a long tradition of opposing racism and fascism, antisemitism and Islamophobia. We beat the National Front in the 1970s, defeated the British National Party and broke the English Defense League. Now we have to face even bigger challenges and must unite to defeat the far right and Nazis. Sign the Statement launched by Stand Up To Racism making it clear that Robinson and his racist friends are NOT WELCOME in our towns and cities. Use this statement to get as many signatures as possible in every local area to help build the widest forces possible to oppose anything Robinson or his supporters may call in your area. Attend the Solidarity Event at Bookmarks Bookshop 2-5pm this Saturday, 11 August (1 Bloomsbury Street, London WC1B 3QE. Following this solidarity event, Stand Up To Racism in conjunction with Bookmarks will host a rally. Further details TBC. Join the Love Music Hate Racism contingent at Notting Hill Carnival on 26-27 August. Book a place at the Stand Up To Racism International Conference, on Saturday 20 October, Friends Meeting House, London, NW1 2JB.